How is the design team at OAK set up. 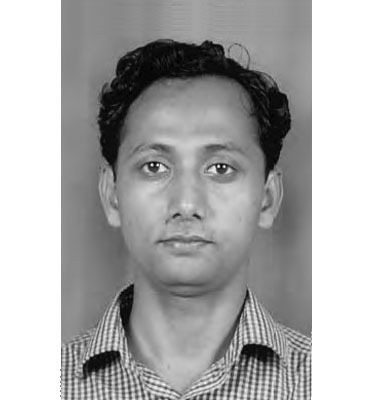 Sagar graduated with a Bachelor’s degree in architecture in 2005 from S.P.S.M.B.H’s College of Architecture, Kolhapur, Maharashtra and joined Plural Design as an intern architect. His strong ideation capabilities, design skills and commitment has seen him quickly rise up within the organization to independently lead project teams and handle complex technical and coordination issues with structural and MEP consultants. Sagar has also been a project consultant with the State Archeological Survey of India (Maharashtra) for restoration and renovation works of forts within the state. He has also been involved with INTACH for built heritage documentation of the Konkan – Coastal region of Maharashtra. 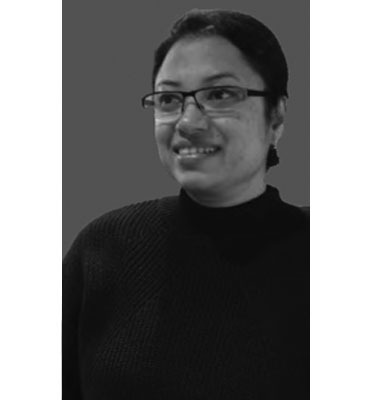 Indrani completed her Bachelor’s degree in Architecture from the School of Planning and Architecture, New Delhi in 1996 and followed it with a post graduate diploma in Construction Project Management from the prestigious National Institute of Construction Management & Research, New Delhi in 2002. She is an associate member of the Indian Institute of Interior Designers. Indrani has had a rich and varied experience in hospitality interior design globally with Hirsch Bedner & Associates (HBA), an internationally acclaimed design practice specializing in hospitality projects worldwide. Her stint with HBA for over five years saw her participate in signature projects such as the Ritz Carlton Beijing China (Winner of the 2007 Golden Key Award for Best Hotel Design), Shangri La Chengdu China, Sofitel Sukhumvit Bangkok Thailand, Ritz Carlton Guangzhou China, Shangri La Pudong China and the Royal Orchid Hyderabad India. Her role in these projects included interior design development, co-ordination, team management and design documentation. Indrani is a founder principal of Plural I’des, the interior design vertical within Plural Design. As part of Plural I’des, she has been responsible for design ideation, design development and coordination for a range of interior design projects in the country, with a focus on the hospitality sector for some of the leading hospitality chains. Her key competence lies in context assessment, Interior design ideation, hospitality design programming, design development and detailing along with a keen sense and knowledge of materials and lighting, and design coordination. Ashwani did his undergraduate studies in Architecture from the Centre of Environmental Planning and Technology, Ahmedabad in 1986. He went on to pursue his masters in Architectural Design from the University of Arizona, Tucson, USA. He has been the recipient of University of Arizona Foundation award for outstanding teaching student and was awarded the prestigious scholarship for the Architectural design summer program at the Boston Architecture Centre conducted by the internationally acclaimed Kevin Rosch. Prior to his return to India, Ashwani has worked in the internationally renowned offices of Raffial Vinolli and VSP Associates, New York. His competition entry for the West Coast Gateway Project was exhibited at the Los Angeles Museum of Modern Art in 1988. He teaches at the School of Planning and architecture as a visiting professor at the Department of Architecture and leads design studios as a key member. His vast experience with design management, construction processes, materials, technology and resourcefulness are his key competence and responsibility. Anuj graduated as an architect from Sushant School of Art and Architecture, Gurgaon in 2008. He holds masters in Landscape Architecture from the Centre for Environmental Planning and Technology, Ahmedabad. His research work titled ‘Role of anthropogenic processes in evolving Landscapes’ was aimed at understanding the relationship between anthropological cultures and the natural resources through time. A sensitive designer, his work was exhibited at the Hobart International Waterfront Design Competition at Australia in 2006. He takes on the role of a design leader and spearheads teams towards carrying out design processes and documentation. Being proficient in design and a motivating team person, his key competence lies in regional resource management and ecological reclamation, cultural landscape and coordination. Harbir, a 1993 graduate from School of Planning and Architecture, New Delhi completed his graduate studies in Landscape Architecture from the same institute. He served as a research fellow at CEEST, University of Massachusetts, USA, looking at environmental geo-technology issues with a globally sustainable development perspective. Harbir’s key competence lies in design coordination, site engineering and management. He takes up visiting faculty assignments at School of Planning and Architecture, New Delhi at the Department of Landscape Architecture. His lectures deal with ‘Professional Practice’ and ‘Advanced Landscape Engineering’, followed up with engineering and design studios. 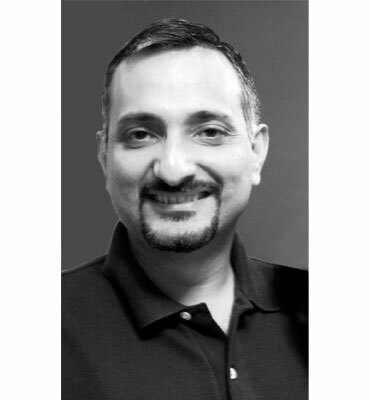 Sandip Kumar, holds a bachelor’s degree in Architecture from the School of Planning and Architecture New Delhi, graduating in 1992. At post graduate level, he received the prestigious India Scholarship from the University of Oxford, UK for the Masters in Science program in Sustainable Urban Development. He is also a post graduate associate at the ‘Future of Cities’ program of the Institute for Science, Innovation and Society, University of Oxford and a member of the Urban Climate Change Research Network (UCCRN). At Oxford, Sandip’s key research interests were exploring the theory and idea of urban sustainability, and its intersections with the politics and architecture of urban production. These concerns were also central to his dissertation on understanding ‘densification’ as a strategy of urban sustainability and its influence on design and planning interventions in Delhi. At his under graduate studies, Sandip excelled academically with the best dissertation in class and his studio design project being exhibited at the Venice Biennale, Italy 1990. Sandip received a ‘special mention’ in the ‘Young Architects Award’ by the ‘Indian Architect and Builder’, in the year 2000. He, along with Suneet Mohindru were invited to present their work and thoughts at the prestigious DesignXDesign expose’ talks, organized by the Alliance Francais de Delhi, New Delhi in 2014. A design project led by him was also nominated for the NDTV Design and Architecture Award, 2015. He is a visiting Professor at the School of Planning and Architecture, New Delhi, his alma mater, where he has now been teaching for the last several years. Apart from his role as a tutor and a mentor in the design studio, he has guided several student dissertations and seminars. He has also been on a number of student design juries and was a member of design jury for the India International Trade Fair 2011. 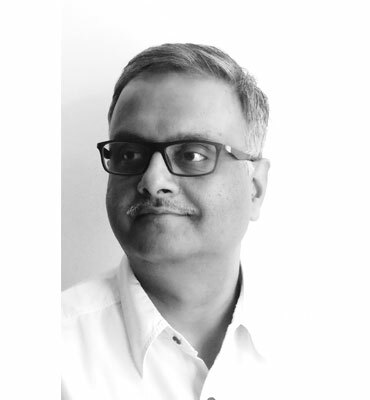 With his leadership quality, vast array of experience, exposure, applied knowledge and professional expertise, Sandip heads the twin studios of Plural Design and Plural I’Des, both as a founder director and design principal. He is also a partner and design principal at Oracles, a landscape design consultancy firm. Sandip has been responsible for, and has led the design process for a variety of prestigious projects, across the categories of residential, hospitality, institutional, commercial and industrial. His work and interests have seen him travel across the globe and acquire extensive exposure while also establishing strong collaborative bonds with leading international practices. 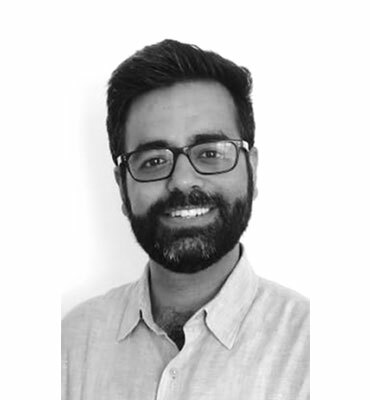 Prior to his engagement with Plural Design and Oracles, Sandip has been a coordinating member of an International Consultants consortium for the preparation of the Urban Structure Plan and Techno-Economic Feasibility for Integrated tourism development at Bekal, Kerala. He has also been a project consultant to INTACH for the celebration marking the centenary of re-discovery of Pataliputra, Patna, Bihar in 1996, and for research and documentation on the built heritage of Mehrauli, Delhi in 1994. His key competence lies in context assessment, design ideation, sustainable urbanism and development, urban design, master plans, programming, architectural design and coordination. 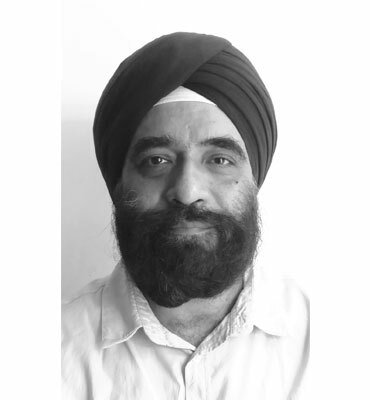 Having graduated in architecture from ‘School of Planning and Architecture’, New Delhi, in 1995, Suneet completed his Masters in Landscape Architecture from the same institute, bagging proficiency awards and gold medals for academic excellence for both the courses. These included the Narendra Juneja gold medal for the best final year thesis in Landscape as well as SPA gold medal for highest rank as an aggregate over the entire course. He also bagged the CM Master Memorial award for the best student in Architecture along with a general proficiency prize for ranking first in the five-year course duration. He received a merit award at the International Students competition organized by the International Federation of Landscape Architects (IFLA) at their 33rd World Congress in Italy for 21st Century Riparian Gardens. His pioneering research into site planning methodologies in the Himalayas and a critical, hands-on primary appraisal of post-earthquake construction in disaster-hit Uttarkashi town was picked up for further study by the Center for Advanced Studies in Architecture (CASA) at SPA, New Delhi with him being a key team member. A fellowship from the Charles Wallace Trust took him to ‘De Montfort University’ in the UK for furthering his theoretical backing and practical experience in conservation of historical landscape precincts. He has pursued this as an academic interest and developed a detailed framework for documenting cultural sites and their settings. This research was published after a paper presentation at the XIII ICOMOS General Assembly in Madrid, Spain. His work on landscape conservation and heritage tourism in the historical town of Mandu in Madhya Pradesh was taken up by Indian National Trust for Architectural and Cultural Heritage (INTACH) for listing of open spaces and landscape character zones around monuments and natural settings in the fort-city. He was also a key member (as the Landscape consultant) for the International Design consortium that won the 1st prize in the two stage International design competition for the North South University, Dhaka. His work and interests have seen him travel though the globe and acquire extensive exposure while also establishing strong collaborative bonds with leading international practices. He has constantly endeavored to use his consultancy practice to polish his own skills and engage in innovating responsive and responsible design ideas towards creating stimulating living and working environments. His key competence lies in developing landscape master-plans, open-space structure planning, landscape-urban interface, site planning and landscape design, context assessment, landscape history and theory and landscape construction technologies. Academics are Suneet’s strong parallel pursuit. 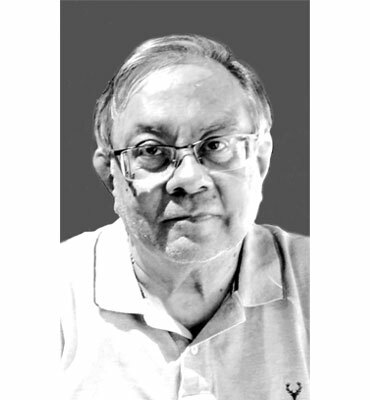 He has been associated with School of Planning and Architecture as a visiting faculty, apart from taking special courses, electives and juries in various institutes. Cultural Landscape, open spaces associated with learning environments and Hill Architecture have been his key research areas. Apart from being an active member in the studio design teams, he runs lecture series every year for the graduate students in the Department of Landscape Architecture on ‘Theory of Landscape Architecture’. He also leads the studios and lectures for ‘Site planning’ at the Department of Urban Design.